Pay special attention to your nose! Why, because it is one of the most vulnerable places on your body to develop skin cancer. According to an article I found on skin cancer.com, I was surprised to read this because it seems like there is such little skin on the nose compared to other parts on our bodies. Protect your nose! It’s most vulnerable to skin cancer. In a recent study by the Skin Cancer Foundation, of 194 people with basal cell carcinoma, a form of skin cancer, it was found that the nose was the most common location for skin cancer, which ended up being 1/3 of all cases. 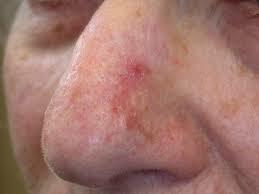 The alar (the side) and tip of the nose are the most vulnerable spots on the nose. Although it’s surprising to me that the nose is the most vulnerable, as I dug deeper into the study, it all started to make sense. In 2007, the Skin Cancer Foundation stated that more than 1,000,000 people were diagnosed with non-melanoma skin cancer and 60,000 were diagnosed with melanoma. It’s important to know that the areas of the body that are most vulnerable to skin cancer are those not protected by clothes; such as, the nose, ears, cheeks, and the forehead. When we don’t cover up or apply sunscreen to these spots, they become susceptible to skin cancer. So how do we prevent skin cancer on the vulnerable parts of our body? It’s best to frequently apply sunscreen with an SPF Factor greater than 15 on the exposed areas while outside, especially during high noon sun hours. It’s important to apply sunscreen even on those cloudy days because dangerous UV rays can penetrate through the gray clouds and still burn our skin. There are many ways to protect our skin from harmful sun rays. Consider taking along a portable sun shade umbrella and a UV blocking umbrella, like JoeShade. 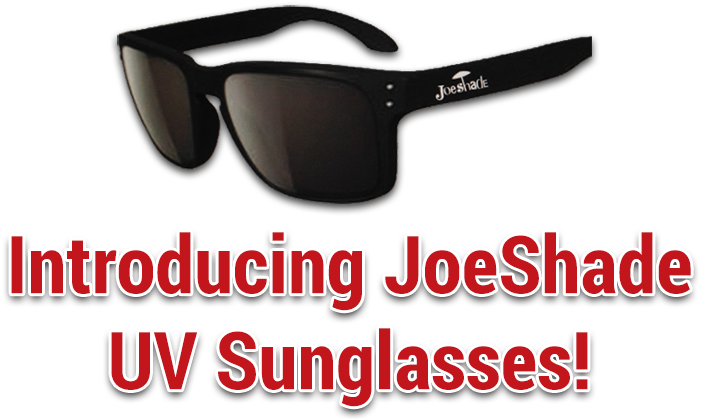 The great thing about JoeShade is that it’s a UV protection umbrella, meaning that by sitting and relaxing under it, it will help protect you from harmful sun rays that are known to cause skin cancer. Also, remember when you are outside it’s important to shade, get plenty of water, apply and reapply sunscreen.